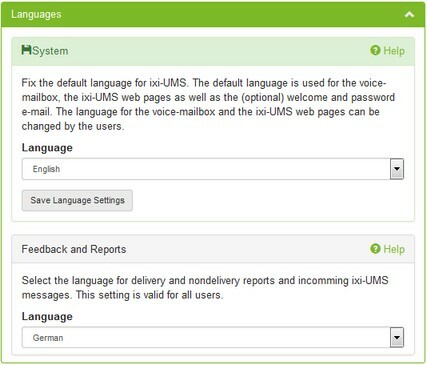 Users can change the language for the voice mailbox and web pages themselves. The setting is valid for all users and can not be changed by them either. All reports for send/not send messages and reports for incomming messages are created in the language set here.